Want to wow your guests during this year’s round of holiday parties? Serve them this Smoked Tuna Dip and watch the compliments flood in. They’ll never know that you whipped it up ten minutes before they arrived! I first tasted this Smoked Tuna Dip at a restaurant in Ft. Walton Beach, Florida. We were there for a military function of some sort and this dip was set out on the appetizer table. We could not stop eating it and by the end of the night, my friend and I had pestered the owner enough that he finally gave up the recipe. Well, he didn’t give us the actual recipe, but I did the leave the party with a list of ingredients scribbled on a piece of paper. He wouldn’t give exact amounts, and for all I know, he left out some magical secret ingredient. But this version that I put together this morning tastes amazing and I really think you should give it a try. This dip is as easy to put together as a ranch dip or spinach dip, but I think it’s a great option when you want to change things up a bit. 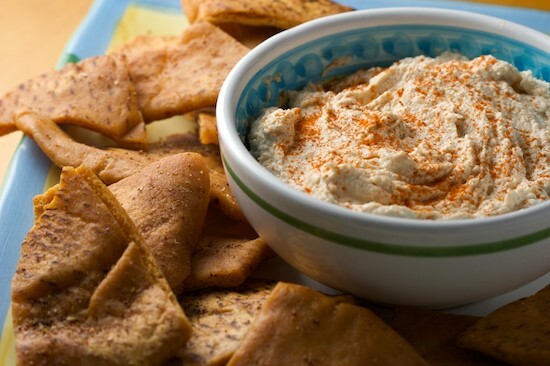 Serve it with your favorite crackers, or even pita chips and your guests will love you for it! Feel free to adjust the ingredients to suit your own taste. Blend all ingredients together well using a stand mixer or hand mixer. Taste, and adjust seasonings to your liking. Be careful adding more liquid smoke, a little goes a long way! When ready to serve, try adding a light sprinkling of paprika over the top for decoration. Serve with crackers or pita chips. I want to add a quick note to say thanks to everyone who was so supportive yesterday while I was having technical issues with the blog. It’s hard to describe what it feels like to see almost two weeks of my life disappear in an instant (I say ‘my life’ because I’ve been doing absolutely nothing but work on the blog for the past month). And the worst part was that apparently someone at my hosting company made a mistake and restored the database on the wrong site. I’m not sure how that can even happen, and I have yet to receive even an apology from the company. All I can say is thank goodness I had copies of everything, and thank goodness I only lost eleven days worth of work. I want to remind everyone to be extra fastidious about backing up your work, regardless of what it is. This is especially true of your digital photos. Accidents happen. Again, thanks for all the supportive e-mails and messages I received yesterday. Everything is back up and back to normal, as far as I can tell. And I will now be making back up copies of my blog even more frequently! And yes, although I almost threw in the towel last night, I am still going to finish out this month of NaBloPoMo and continue to share one recipe a day until November 30.
cornbread dressing and giblet gravy. Creamed pearl onions are also a favorite. I'd have to say, Pumpkin Chiffon Pie at Thanksgiving. So light, so refreshing, so good! Try it. I would never have though to pair liquid smoke with tuna. And I just happen to every single one of these ingredients on hand so I'm making this for dinner tonight. Glad you're site is back up and running--how stressful for you! Oh that does sound yummy! I thought you were going to say that you picked up this idea in Sicily. I remember having a great creamy tuna appetizer in Italy. Yum--I think I have had this dip--I'm so glad to get the recipe! I'll be serving it for Thanksgiving appetizers. This sounds so appetizing! I've never worked with liquid smoke before, but I'm enticed. So glad you're back up and running - what an ordeal! Yum! I think I have had this dip. I can't wait to try it! can liquid smoke be substitued by anything else? i'm pretty sure they don't sell that where i live. This is close to my smoked salmon dip recipe. I had never thought of using tuna. We have so much salmon that I use it for everything. I think I am going to try your recipe using tuna and then with salmon and compare. Looks yummy. I really don't like using liquid smoke so I think I'll try some chipotle peppers for smoke and a little heat. It's all about the dressing for me, an old-fashioned bread dressing/stuffing with lots of celery, onion and butter. And of course, lots of gravy to go with it. So sorry to hear about your troubles!I love to have my mom's holiday cookies - she's got a magic touch that I just can't duplicate in my baking! My roommate made a version of your smoked tuna dip the other night and it was soooo delicious. He actually smoked a couple cans of tuna on our Big Green Egg for a few hours and it turned out fantastic. He also added a habanero pepper and blended everything in the food processor until it was creamy. Thanks so much for the idea! Slick Micks in FWB has this dip, quite delicious with deep fried pita chips. I smoke fresh tuna and make my own, which is delicious as well. I live in Fort Walton Beach, FL, It was funny tonight I went online to see if I could find a recipe for the Smoked Tuna Dip. Because My boyfriend and I eat it at Slick Micks all the time and I LOVE IT.. OMG.. and then there was your info.. Is Slick Micks where you had the Smoked Tuna Dip at? I honestly think I could eat that dip every single day and I'm not kidding. Lots of local seafood restaurants along the Gulf Coast serve a version of this dip, often times substituting mullet for tuna (I'm pretty sure Redfish (drum) would work with equally great results). Although they sell it as an appetizer I've been known to order it as my main course. Thanks for the wonderful recipe. I'm a big fan of Liquid Smoke, I use it in my baked beans and marinades. I tried this dip yesterday and, wow was it good! Really, really yummy! Thanks a lot! I love that dip and slick micks is the only place in fort walton beach to get it from as far as I know, it is sooooo gd. I've nvr heard of butterscotch yams, that sounds so yummy! Thanks for posting this!I first tried this dip at the Red Bar over Memorial Day weekend 2010. I liked it so much, when I got home I found your recipe on the internet and tried it myself. It was good, but not quite the same. The tuna in Red Bar's dip was flakier, and not as pureed looking as your recipe. The Red Bar dip was also a little lighter in texture.When I went back to the Red Bar this past Memorial Day I asked a waiter about the dip. He said he didn't know the whole recipe, but was sure they used chipotle mayonnaise. That makes sense to me.I'm going to try your recipe again, but using a chipotle mayo instead of the cream cheese and see how it turns out. My absolute favorite holiday food is smoked turkey breast! I've cooked my share of whole turkeys and hated the cleaning up of the carcass. Since I discovered smoked turkey breast,it's on our table for Thanksgiving and Christmas. For me, smoked turkey has all the advantages of the great smokiness of ham without all the salt and grease; a real win-win situation. I love grapefruit in the fruit salad. I am not permitted to eat it because of a medication I take but once a year, I indulge and include it in my Thanksgiving fruit salad. Love pumpkin roll at this time of the year. I was looking for something different to serve before the main event on Thanksgiving. This is perfect -- and I have everything on hand. Thanks for sharing! I made the Tuna Dip and cut back a little bit on the liquid smoke (it can be over powering to my Mom) so I added both regular paprika and smoked paprika then served with whole wheat pita chips. DEEEE-lish! Just made your smoked tuna dip -- I had to find a recipe after trying it for the first time at a restaurant on the FLA coast. You nailed it, thanks! I'll be looking around your blog for more! THIS LOOKS AMAZING! I've been on the lookout for unique inexpensive dips. I am going to make this right now!! I will let you know what I think! I made this dip for the campus-wide holiday party; it was a huge hit! Thank you! I had never had anything like this before and wanted to make something different than everyone else. I served it in a mason jar along with pita chips and received a lot of great compliments! Halved the cream chesse and reduced the liquid smoke by 1/3. Opinion the tuna should have been increased and salt reduced. Will try again with these modifications.